Yes. There can only be one. Tiger Woods. Last Sunday afternoon at home, I watched the replay of the U.S. Open. 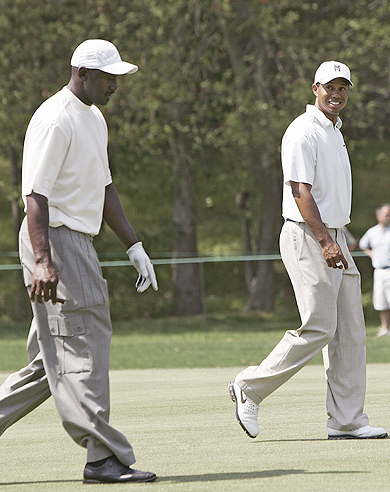 Michael Jordan’s twin brother—that’s how I like to call him—was playing. It didn’t matter that he had surgery on his left knee just last April 15. It didn’t matter that, when he swung, he nearly collapsed in pain, gripping his knee. In that U.S. Open third round, Tiger was down two strokes with two holes left. You know what he did? He birdied Hole No. 17 then strolled to eagle the final hole. From two shots back, he owned a one-shot lead. Only one person—living or gone—can do such magic. Tiger Woods. That’s Part I. Yesterday morning, I switched on the TV set early. It was 7:30 a.m. and Star Sports televised the U.S. Open final round live. On the 13th hole, Tiger led by one shot. But a bogey there—and a birdie by Mediate—turned the scorecard around; Tiger trailed. Now, here’s Part II. On the last, 72nd hole of the tournament and trailing by one shot, Tiger hit into the bunker then made a terrible shot in the next swing where his ball landed in the rough. Bad news. Needing to find the hole in two swings from a hundred yards, Tiger swung to land his shot on the green. Then, from 12 feet away, with the prospect of losing etched in the minds of the spectators, Tiger putted. The ball rolled… rolled… rolled… Need you know the outcome? Tigerrific! For while the tens of millions of TV viewers might have doubted Tiger, in his mind, on this human being named Tiger’s mind… was there any doubt? None. As I said, there can only be one. 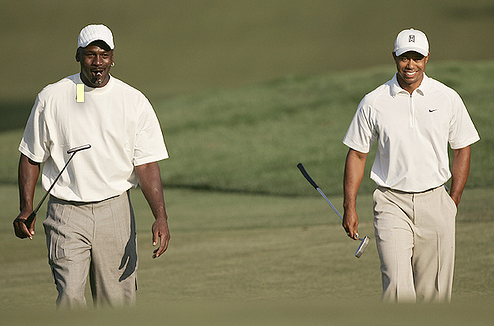 Which brings us to today, Monday in the U.S., and the 18-hole playoff between Mediate—45 years old and ranked 157 in the world—versus Tiger Woods—aged 32 and world No.1. Is there any doubt? For with Tiger, he makes us shake our heads in disbelief. He makes us believe in disbelief. 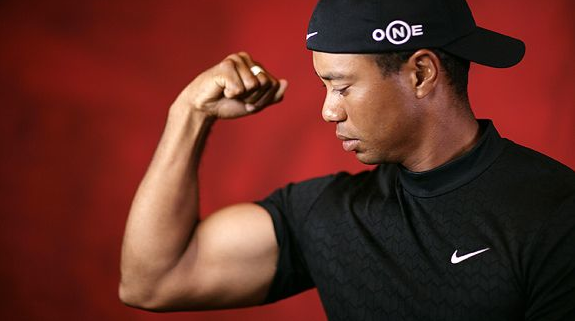 Plus, here’s another point: Tiger is no athlete. He’s not a golfer. He’s no sportsman. He’s a showman. A performer. Like Michael Jackson during his prime, Tiger doesn’t play. He performs. And, in front of 50,000 spectators at Torrey Pines in San Diego, he held his putter like a microphone on stage. Tiger’s an artist. Like a Van Gogh, his canvas is the golf course. Like a Mozart, his swing is music to our eyes. Like Barack Obama, his oration is the sound of his 8-iron slicing the grass. Today, as he attempts to win Grand Slam title No. 14, is there any doubt? Don’t ask Kobe. He wouldn’t understand. Por Dios por Santo, John, MJ es muy guapo! I can’t breathe!